How do I decide between home care and care in a facility? Is assisted living a good option? These are the questions that cloud over many families who look for the best possible elder care for their loved ones. Many families who run into these questions may seek a referral agency with assistance in weighing out their options in care, taking into considering the level of need as well as their unique financial situation. However, with more than 80 percent of elders preferring to continue living in their private homes and home care being an affordable option, more families are looking at home care as a viable source of elder care for their loved ones. But even when comparing home care agencies in the area, what types of distinguishing qualities should families look out for? Accountability: How does the home care agency hold their caregivers accountable for their work performed? Credibility: How does the home care agency ensure that the caregivers or CNAs that they are sending to client’s homes have the proper certifications? Transparency: How do I know that my loved one is getting the proper care that I’ve requested? 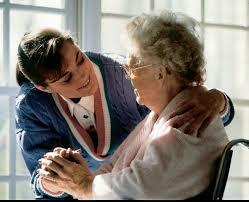 Every home care agency may have a different way to present these distinguishing qualities to families looking for care. However, today’s home care software and home care system solution gives agencies an easier way to differentiate themselves from other providers. 1. Notifications that make sure caregivers are held accountable: Advanced home care software and home care system solutions like ClearCare Online helps agencies hold caregivers accountable for their shifts by sending out notifications whenever a caregiver is late arriving to a client’s home. These notifications not only helps the agency identify and weed out tardy and irresponsible caregivers, but they also help make sure that loved ones are receiving care at the time that they need it the most. In addition to these late arrival notifications, home care software and home care system solutions hold caregivers accountable for their work by making sure that all assigned tasks are completed during their shifts. Any tasks that are not complete are immediately notified to agency administrators through the home care system for review. Automatic certification tracking system: Home care software, like ClearCare Online, make it possible for agencies to easily keep track of caregiver certifications so they know they are only sending certified and licensed caregivers to client homes. For example, in ClearCare Online, notifications are sent out to administrators and caregivers when certification is about to expire. This encourages and reminds caregivers to keep their certifications up-to-date and helps stops agencies from scheduling shifts for those caregivers who are no longer certified or qualified to provide care. Complete transparency into the client home: Home care system solutions that offer family login access gives families more transparency than ever to keep track of their loved ones condition. Many agencies already attempt to provide this kind of “transparency” by keeping care plans and care logs that are updated and sent to families. However, the problem with this is that care logs can only be viewed on an after-the-fact basis. With an online home care system, care plans are updated in live-time, so that care plans can be accessed by family members immediately as they happen. With this level of transparency, families are assured that their loved one is receiving the care that they need. As more and more people turn to in-home care as an option for elder care, more questions will come up as they review their options between agencies. Many agencies emphasize the quality of their care, but for those who are utilizing a home care system or home care software to hold their caregivers accountable and to provide complete transparency to their provided care, they have found ways to distinguish themselves from good agencies as a great one.